Only the naïve can argue that, in today’s world, strength doesn’t matter and all nations have equal rights. It remains a Hobbesian world, with power coterminous with national security and success. India can acquire world-power status not by piggy-backing on another great power but by building independent power capabilities to endow itself with undeniable global influence. India has yet to face up to the key issues of power — the efficacy of power, the centrality of tenacious expansion of economic and military power, and the exercise of power. Without the country clearly focusing its priorities on erecting the building blocks of comprehensive national power, some Indians fancy a rapidly rising India or hypothesise an emerging tripolar world dominated by the US, China and India. Let’s face it: India cannot become a world power on the basis of its size, mere potential or wishful thinking. It will have to meet the traditional measures of great-power status. With expansion of the UN Security Council at issue, it is revealing that countries armed with intercontinental ballistic missiles (ICBMs) are all veto-holding permanent members of the council, while the aspirants for additional permanent seats strikingly lack such military reach. A country’s international standing is tied to the reach of the weapons in its armoury. Japan has a much larger economy than China but the world courts Beijing and takes Tokyo less importantly because Chinese nuclear missile prowess presents China as a global power. Britain and France, stripped of their submarine-launched ballistic missiles, would become minor powers. India has found it difficult to break out of the subcontinental straitjacket because its weaponry remains subcontinental in reach. It was only with the Agni-class missiles and overt nuclearisation that India gained greater strategic space and a higher international profile. Years later, however, its nuclear and missile capabilities remain regional in range. 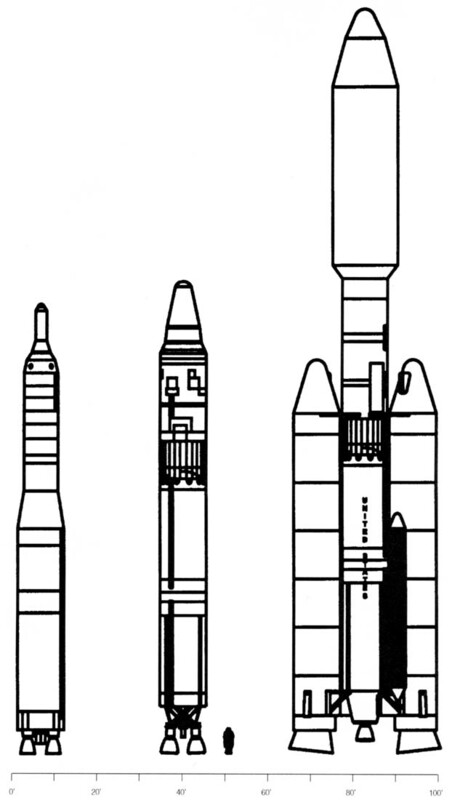 In contrast, China developed its first ICBM, the 12,000-km DF-5, when it was still backward in the 1970s. Imagine how an ICBM test would lift India’s international status. The DRDO announcement last week that “all efforts are being made for the first test by end-2005” of the much-delayed Agni 3 only highlights India’s slow missile progress. Far from developing a military reach to underpin its world-power ambitions, India even lags behind its regional defence needs. Seven years after declaring itself a nuclear-weapons nation, India still does not have the retaliatory capability to strike deep into the Chinese heartland, even as China frenetically expands its missile arsenal. There is a conspicuous gap between India’s power pretensions and the ground realities. The Agni 3 adds only an additional 1,000 kilometres to the range of the successfully developed, rail-mobile Agni 2, presently India’s main nuclear-delivery vehicle. Both Agni 2 and 3 are solid-fuelled and terminally guided, and, like Agni 1, belong to the intermediate-range ballistic missile (IRBM) family. Yet Agni 3’s maiden test has been repeatedly postponed since 2003. Such deferment is indicative of the lack of political priority to sustained missile advances. Had India made the necessary investments with unflinching resolve, it could by now have progressed from the IRBM to the ICBM stage. Single-mindedness, perseverance and long-term vision have not usually been India’s strengths. Rather there is a tendency to be self-congratulatory precipitately. Once the ‘father’ of the Agni programme became a national icon and then President of India, the country blissfully forgot that its minimal nuclear-delivery requirements had yet to be met. India has not only allowed its missile gap with China to widen but also fallen behind semi-failed Pakistan in capability. Such reality does not become less unpalatable merely because Pakistan got its Shaheen and Hatf missiles from China and its Ghauri from Beijing’s quasi-ally, North Korea. As the CIA chief told a Senate panel long ago, “Chinese help has enabled Pakistan to move rapidly towards serial production of solid-propellant missiles”. Militarily, however, India can draw little comfort from the alien parentage of the Pakistani missiles. When Pakistan three months ago reportedly tested its longest-range missile, the Shaheen 2, its military dictator haughtily proclaimed, “We have crossed the minimal-deterrent level”. India’s defence deficiencies are self-made. Nothing better illustrates this than the Agni programme. After just three flight-tests, the Agni programme was shelved by P.V. Narasimha Rao under US pressure. By 1997, under I.K. Gujral, a malleable India had gone to the extent of affirming that it was not deploying the short-range Prithvi and not proceeding further with the Agni. Before power could morally corrupt Vajpayee and company, India was lucky that the new team, in its first weeks in office, tested nuclear warheads and revived the Agni programme. But it didn’t take long for the new office-holders to lose their heads to heady power and begin making compromises with national security. The Agni 2 was ready at its launch site for its maiden flight in January 1999, but Vajpayee just wouldn’t give A.P.J. Abdul Kalam the go-ahead. A downcast Kalam, in several conversations with this writer, wondered when India would develop “a political backbone”. The Agni 2 test was held up for several months because Jaswant Singh was holding secret talks with his friend, Strobe Talbott. The talks were centred, as Talbott’s book reveals, on holding India to a set of US benchmarks, including limits on its development and deployment of nuclear weapons and missiles. The idea was to limit the reach of India’s nuclear missile assets to its immediate region. That may explain why the Vajpayee government, despite acknowledging in Parliament on November 22, 2000 that “India has the capability to design and develop ICBM”, never undertook an ICBM programme. India remains stuck, by choice, in the IRBM arena. Its missile progress is self-constrained, more due to political factors than to the availability of technical resources. If India wanted, it could (exploiting its impressive space advances) test within three years an ICBM — a pretty old technology that long predates the advent of the Information Age. Can it be anyone’s argument that India cannot develop what China first built a quarter-century ago? World-power status may be the abiding dream of the Indian elite, but it cannot be realised without taking hard decisions to build hard power. The latest U.S. inducement — “to help India become a major world power in the 21st century” — tantalizingly offers the mirage of a short-cut to global clout. No great power, however, has ever emerged in world history without the strength of its own capabilities. In fact, the US — still reluctant to back India’s bid for a Security Council permanent seat — would be the first to raise a hue and cry if India launched an ICBM programme. Like the way it came to accept a nuclear India, it will regard India as a global power only if New Delhi builds the requisite capabilities. If India wants to be in the same league as China, let it do even half of what Beijing does. It could, for instance, peg its defence spending to at least half of China’s military outlays. To narrow the gaping missile gap with China, ICBMs in any case offer a more cost-effective route than the present incremental IRBM path. This is more so because of the disadvantage of geography: While Beijing can strike India’s Gangetic heartland from occupied Tibet even with short-range missiles, India needs potent, deep-penetration missiles to reach key Chinese strategic targets. ICBMs will stay symbols of power and coercion in international relations. They arm their holders with tremendous political and military leverage. What India needs is a crash ICBM programme, backed of course by “a political backbone”.